In the gym or on the track, this women's t-shirt keeps you cool and dry. Speedwick technology keeps moisture away from your body. A droptail hem adds coverage as you move through your regimen. 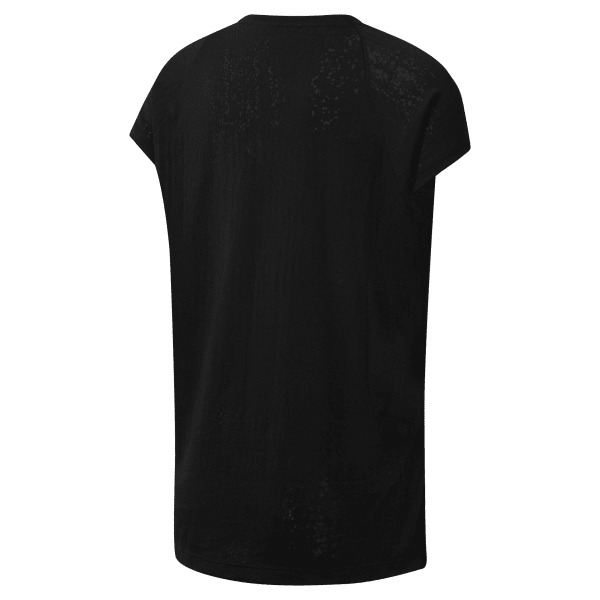 Burnout jersey fabric and a data dot pattern give the tee a modern look.